Victor Ezeji is an iconic figure in Nigerian football, having spent his entire career on the local front. He is currently an ambassador for the Nigeria Professional Football League (NPFL) since retiring after a career that lasted nearly two decades. CAFOnline.com: What is the major key to success for clubs playing on the continent? Victor Ezeji: Good preparation is a non-negotiable factor for any club to succeed in continental club competitions. It involves so many things including the quality of your playing staff; travelling arrangements; management of the matches and other minute factors. Any team that prepares well would do well and I can say by and large, the two teams representing Nigeria this time, Lobi Stars and Rangers are coping well despite challenges on the domestic front such as fixture congestion. 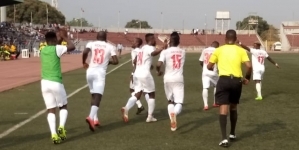 How would you rate the performance of Lobi Stars thus far? 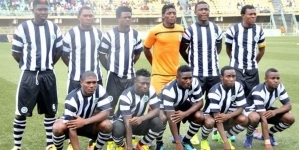 Lobi Stars have not done badly in the Total Champions League. After losing 1-0 at home to Wydad Athletic Club, many expected ‘them to skinned alive’ in the return. They managed to get a draw, which is a morale booster ahead of their next game against Mamelodi Sundowns. If they can get a good result against Sundowns, they would be back on the stream by the time they host ASEC Mimosas in the penultimate match. They still have a great possibility of qualifying for the quarterfinals if they can manage their situation very well. 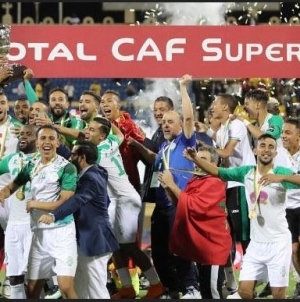 Rangers have yet to suffer defeat and we have to applaud their efforts especially in a group with former winners’ Etoile du Sahel and CS Sfaxien. In their last game away to Sfaxien, they fought back to draw level less than two minutes after Sfaxien had taken the lead; and that shows the sort of confidence they have. Surprisingly, they are the team to beat despite the presence of the two Tunisian top sides. Rangers have so many experienced players in their fold as well as experienced management staff. There is nothing better than blending experience and youth. I expect Rangers to progress to the next stage. Which players have caught your attention from both Rangers and Lobi Stars? From Rangers, Godwin Aguda, Bright Silas and their entire backline especially Ajani Ibrahim have done well. On the part of Lobi Stars, they have blended experienced players with youths; and imagine the presence of David Tyavkase who was my teammate when we won the CAF Champions League trophy with Enyimba in 2003. They also have an experienced player in Cletus Itodo and others that would naturally guide the younger players in the squad. 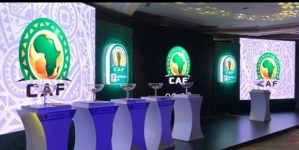 How soon would a Nigerian club win a continental trophy? With the way the trend is going, we are almost getting close. Last season, Enyimba made it to the semi-finals of the CAF Confederation Cup before losing to eventual winners Raja Club Athletic. Lobi Stars and Rangers have done well so far and I think they can go further especially if they make the quarters. Usually, it’s a gradual process like we did with Enyimba in the early 2000’s before the club became a very strong force. In the next two or three years, we should get a club to bring back home a continental club trophy. Your transition from being a player to TV pundit has been so swift; what prepared you for this new life after retirement from football? Life after football has not always being easy and rosy. When you are playing, you’re on top of the world because virtually everything was done for you. You hardly do or think for yourself because most of your responsibilities would be taken care by others because they want you to focus on just playing football. But you are faced with stark reality of life once you stop playing. I had long planned to be a TV pundit even whiles playing. That’ s why I opted out of coaching when I retired; but working with SuperSport has given me the kind of opportunity I wanted. This has given me the opportunity to also share my wealth of experience with the players as well as the fans since I can always provide better insights having gone through the same route. It has been a wonderful experience for me because it has made me to do more research and learn more about the game. I also think, it serves as a big motivation for younger players and it shows that irrespective of what you are doing today, you can be whatever you want to be. Generally, life after football has been truly amazing for me; I still work out and play as much as I can with younger players and friends.